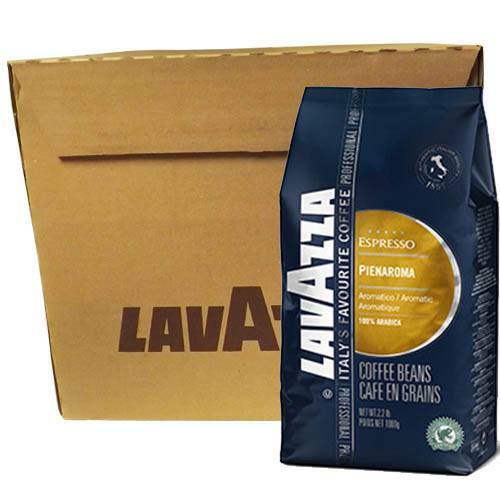 Lavazza Pienaroma is an outstanding top-grade washed Arabica coffees from Central and South America. The pure Arabica blend from differing origins gives it a beautiful crema and a well-balanced medium caffeine content with nutty and chocolatey tones. 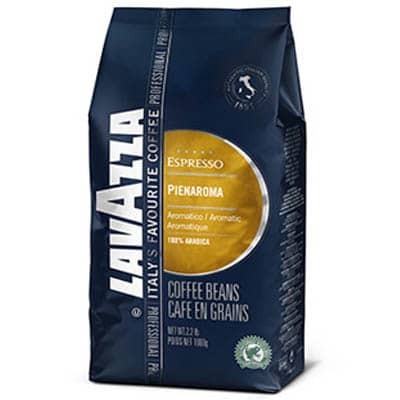 Lavazza Pienaroma is very much a top-of-the-range coffee and is perfect for anyone looking to either indulge themselves, or offer truly outstanding coffee to their customers. It is perfectly suited for making original Italian espresso, Macchiato and Cappuccino. Like all Lavazza roasts, these beans are suitable for all conventional coffee machines.